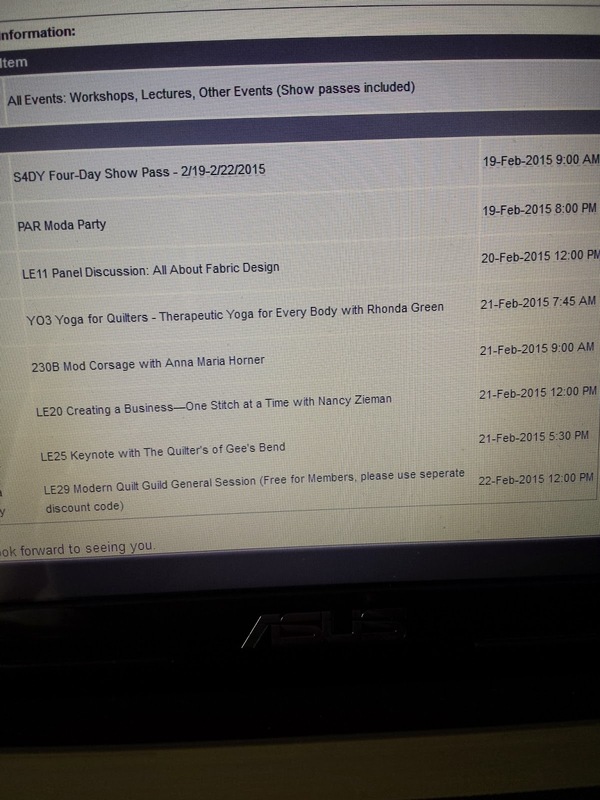 Oh good - I will see you in the fabric design lecture and the keynote :-) I'm thinking of adding a day of Yoga as well - it would be a great way to start the day! Those fabrics are looking good! I'm sure you'll have fun in Feb.
We are signed up for the same yoga class! See ya there bright and early! I'm not sure how many more ways I can express my excitement! I still can't believe we got into everything. Very fun! It'll be great! congrats lady, I can't wait to hear all about it. 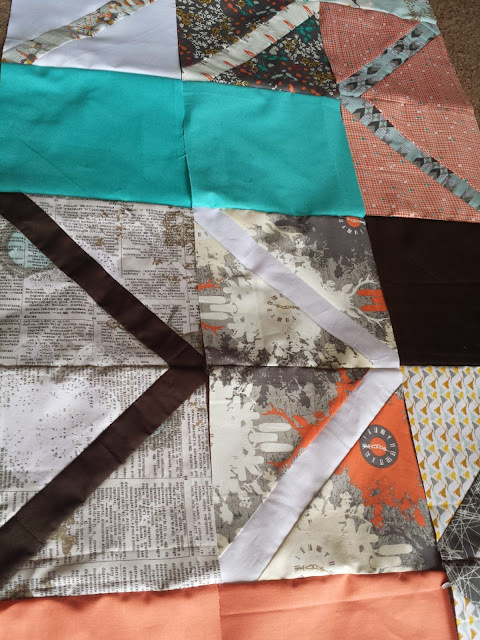 And your indelible quilt looks great, can't wait to see the tutorial! I get so excited about such things too! I tell my kids it's my version of Christmas. Good on you. Only 25 minutes? You're lucky! Have a blast!! I will be wishing I was there! Got my last wait listed item today. Glad it is all done! I'm so happy for you! Can't wait to hear details when you get back.